Crispin occasionally refers to this “system,” but she never mentions the specific policies that undermined the radical visions of the 1960s and ’70s. Ultimately, her book founders on this inconsistency. 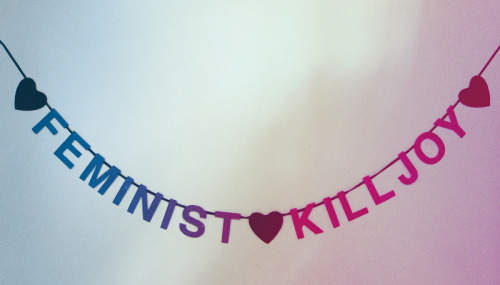 It criticizes contemporary feminism for being merely individualistic. Yet because it lacks an analysis of why feminism might have become a lifestyle brand, Crispin can only assign individual blame: “It’s nice in there. It feels good. You get things.” The prose is punchy, but the explanation seems incomplete, and berating women into wanting less seems like a dubious political strategy. Wouldn’t a better movement show that all women deserve more? 320 pp. Nation Books, $27. Filipovic identifies some of the same problems as Crispin, but her book moves in the opposite direction. Rather than advocate an ascetic renunciation of faux-feminist consumerism, Filipovic argues that women should pursue their right to happiness. She was a lawyer before she became a journalist, and she frames happiness as a political question — one that goes back to the Declaration of Independence itself. Alternating sections on history and policy with memoir and reportage, Filipovic alludes to the competing classical traditions of hedonia and eudaimonia, as well as more everyday terms like “pleasure” and “satisfaction,” but she never settles on a clear definition of happiness. The result can feel diffuse, and her attempts to pivot back to her central topic are often slightly abrupt. Still, she shows her subject is crucial, and the political changes needed to close the “happiness gap” between American men and women would be revolutionary. If, as the old adage has it, no one is free until we are all free, Filipovic shows the same may be true of being happy. 176 pp. Haymarket, paper, $14.95. Books have long lead times, and so for another few months at least, we’ll be reading books meant to be read under a Hillary Clinton presidency. Crispin directly criticizes Clinton; by contrast, Solnit’s new collection sounds like practice scales for a celebration that never arrived. Read in order, the essays chart a progression from a condition of voicelessness to a feminist outpouring. She concludes with an unexpected and dazzling art essay — an account of watching and rewatching the 1956 film “Giant.” Over time, Solnit finds all her themes in it. “This is a film about a man who found he couldn’t control anything at all, and he’s not Job and this is not a jeremiad,” she writes on the text’s final page. “This, says ‘Giant,’ is the future; get used to it.” If only it had been. Romm recounts how difficult it was to get contributors to address her subject. Women she contacted would respond enthusiastically, but then they began to waver: “I’m not sure I’m ambitious.” The essays that Romm eventually assembled exemplify the many forms that female aspirations take. Their authors are actors, butchers, playwrights, dog sled racers, psychiatrists and full-time mothers, as well as writers. The results may be uneven, but ambivalence remains a constant. So, too, does the insight that ambition is relational. Roxane Gay writes movingly of a woman who came to one of her readings: “May I be worthy,” Gay writes, “of the work you have done to make my life possible.” Claire Vaye Watkins recalls a young woman in her hometown: “I find myself transfixed by Jo’s ambition.” The subject of motherhood arises again and again, as a practical concern and as a source of identity. Daughterhood does, too. The playwright Sarah Ruhl tells her mother that she wants to free her: “I want, before you die, for you to feel at rest, to feel you’ve accomplished enough.” If we believe the evidence of the book, “enough” might be the farthest reach.